Victoria Bowling Club » Well done Alf, Laurie & Lou! Well done Alf, Laurie & Lou! You are here: Home » Blog » Competitions » Well done Alf, Laurie & Lou! Congratulations to Alf De Munnik (who replaced Gary Ruane from the Club Triples winning side), Laurie Guy and Lou Newman winning the Wellington Champ of Champ Triples today at the Park Avenue club. The Victoria were too strong beating the Tawa side 19-11 in the final. This title was good reward for Alf who subbed in for an injured Laurie in the 2011 Wellington final without being awarded a Centre title. Alf’s only previous title was in 2004, while Laurie now has three, and Lou eleven. Tereska Knap, Hayley May and Nicole Toomey also represented the club well going down in the semifinals to Lui Hare’s Johnsonville team 9-20. 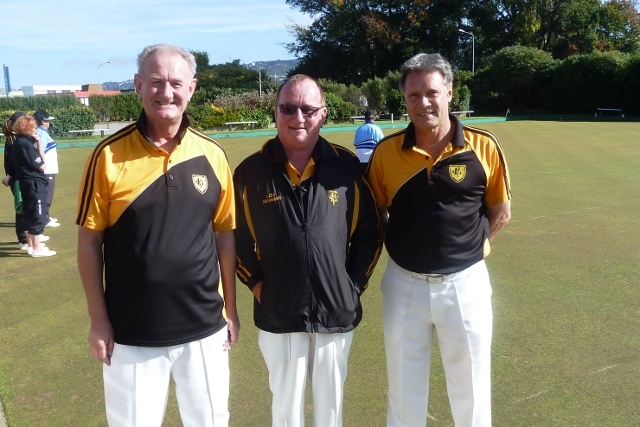 This tournament concluded the Wellington Centre title season with both our men and women finishing third in Rich’s unofficial Bowls Wellington Club of the Year standings.